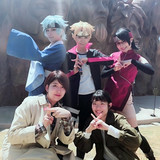 The Nijigen no Mori theme park in Awaji Island, Hyogo Prefecture, opens its new attraction "NARUTO & BORUTO SHINOBI-ZATO" inspired by the world and characters from Masashi Kishimoto's internationally popular ninja action manga series Naruto and its sequel Boruto: Naruto Next Generations today on April 20. The attraction's official Twitter has started posting photos from its opening day. 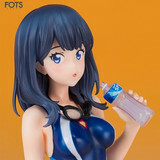 Japanese figure brand FOTS JAPAN's official online store has started accepting pre-orders for a 1/7 scale painted figure of Rikka Takarada from the SSSS.GRIDMAN TV anime series in her competitive swimming suit for release in the end of June 2019. Check out the beautifully crafted item after the jump! The official website for 29-year-old voice actress/singer Megumi Nakajima has posted a 90-second music video for "Love! For Your Love!," a newly-recorded song from her first best album "30 pieces of love" to be released in Japan on June 5, 2019, her 30th birthday. Check out her brand new song after the jump! 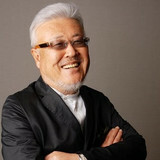 The official Twitter for veteran manga story writer Kazuo Koike announced today that he passed away on April 17 due to pneumonia. He was 82. According to his wish, his funeral was already conducted only by his relatives. Hit the jump for more details. The official website for Miru Tights, a new web short anime series based on illustrator Yom's "girls in tights" illustrations, has posted a 80-second full trailer introducing its three main girls with their character voices: Len Aikawa (Haruka Tomatsu), Yua Nakabeni (Yoko Hikasa), and Homi Moegi (Aya Suzaki). Meet the three girls in their high school life after the jump. 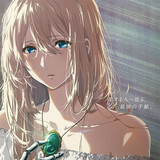 The official website for the anime adaptation project based on Kana Akatsuki's fantasy light novel series Violet Evergarden has posted a key visual and a 30-second teaser trailer narrated by Takejito Koyasu for its forthcoming all-new feature film, and also confirmed that the film is set to be released in Japan on January 10, 2020. Check out the latest information including the directors's message after the jump. 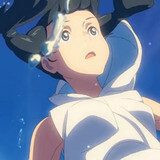 An online petition to legally release Makoto Shinkai's forthcoming new anime feature film Tenki no Ko/Weathering With You in India has been held on Change.org since February and has attracted more than 16,600 signatures so far. Then one fan in the country directly asked the director about its possibility on Twitter. See his answer after the jump. 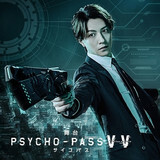 The highly-anticipated spin-off stage play PSYCHO-PASS Virtue and Vice finally started its run at Ninon Seinenkan Hall in Tokyo on April 18. One day before its opening, its dress rehearsal session was introduced to Japanese media. Check out how they recreate the PSYCHO-PASS world on the stage in the video reports after the jump! It is confirmed today that the second season of the live-action drama adaptation of Hikaru Nakamura's slice of life comedy manga series Saint Oniisan/Saint Young Men will be available on Japanese video streaming app Piccoma TV on June 1, then will also get its theatrical screenings in select theaters five days later. Hit the jump for more details including a teaser trailer. 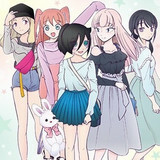 Medicos Entertainment announced today that an original art exhibition for Nico Tanigawa's comedy manga No Matter How I Look at It, It's You Guys' Fault I'm Not Popular!, WataMote for short, will be held in Tokyo from May 11 to 19, 2019, in commemoration of the release of its 15th tankobon volume on its opening day. Check out a newly-drawn art for the event after the jump. 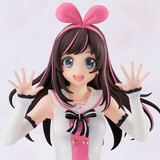 Following the first one Hatsune Miku introduced in February, Good Smile Company has also started accepting pre-orders for the second non-scale painted figure from its newly-launched line "POP UP PARADE," inspired by the internationally popular virtual YouTuber Kizuna AI, for August 2019 release. Check out the details of her new figure after the jump! 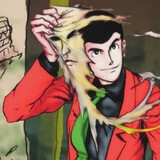 Following the current Lupin VA Kanichi Kurita introduced yesterday, other voice cast from the Lupin the Third anime series have released their condolence messages on passing of the manga creator Monkey Punch. Read them after the jump. With the opening of its latest exhibition dedicated to the Is It Wrong to Try to Pick Up Girls in a Dungeon? 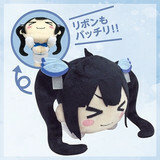 anime/game franchise, Tokyo Anime Center in DNP Plaza starts offering special limited items inspired by the anime's heroine Hestia, including deformed plush dolls and plastic bottle. Hit the jump for more details. The official website for Shueisha's biweekly manga magazine Grand Jump confirmed today on April 17 that an anime adaptation of Kei Toume's Yesterday wo Utatte (Sing "Yesterday" for Me) is in the works. 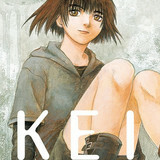 It has been almost four years since the manga ended its 18-year serialization in June 2015. Hit the jump for more details. 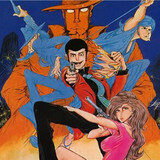 Soon after the news about the sudden passing of 81-year-old manga artist Monkey Punch, best known for his internationally popular series Lupin The third, Kanichi Kurita, who has been voicing the protagonist character in the anime series for 25 years, released a condolence message to Japanese media. He said, "I was saved by Sensei, who treated me with a smile."